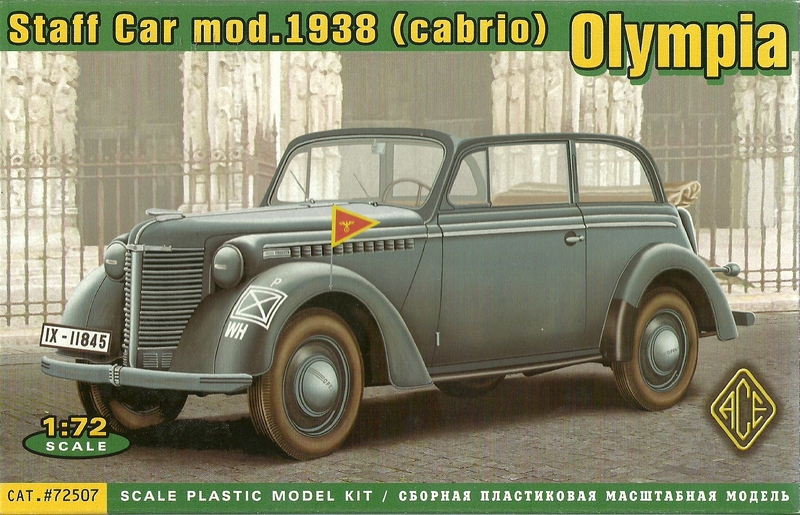 The Olympia Cabriolet was designed and manufactured by Opel as a small family car between 1935 and 1940. The model 1937 Olympia (OL.37) took its name from the 1936 Berlin Olympic Games and was produced between 1935 and 1937 with a 1.3 litre engine. The later OL.38 produced between 1937 and 1940 had a 1.5 lire engine. Over 168,000 were produced and used across all of Germany's armed services during WWII.